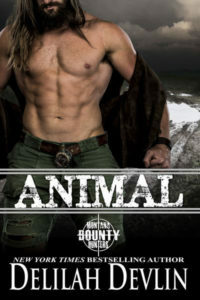 I recently read a book by one of my favorite paranormal romance authors. I’d loved everything else she’d published thus far and I knew this one would be no exception. I couldn’t have been more wrong. The entire tale—more than 300 pages—read like a teaser, and I sat on the edge of my seat frantically scanning the pages for the resolution. It never came. The book ended with a giant question mark requiring the reader to buy the next book. Instead of feeling excited to see how the story line would play out, I felt cheated and I had no desire to buy the second volume of the new series. As a reader, I appreciate a glimpse of the direction the next book will go. If the first book has introduced me to a world I enjoy, I either “one-click” the following book or anxiously await its release date. What I don’t appreciate, however, is feeling like I don’t have a choice. I paid for a novel in its entirety. Ending a book with no resolution at all is like having a movie turned off during a climactic scene. As an author, I begin each book with a story to tell, and I don’t type “The End” until I have finished that particular story. I owe it to my characters; I develop a relationship with each as I write. I owe it to myself to finish the vision I have, the plot that must unfold. But perhaps most of all, I owe it to the readers. They trust me when they take a chance on my book. They trust me to entertain them and tell a good (complete) story, and I feel like ending with a cliffhanger is a betrayal of that trust. Cliffhangers also feel insecure—if an author creates a world and a cast of characters that readers will enjoy, why not trust them to continue their experience? It’s best to write what you love; that’s why I began writing in the paranormal romance genre last year. I’ve published two novels in my Phoenix Warrior series and each book does have a beginning, middle, and end. The cast of characters remains the same, but each book focuses on a different Warrior and his love interest. I write my books so that someone could pick up one anywhere in the series and it would still make sense, but each complements the others. The Phoenix Warriors are a group of hunky immortals who are guarding the human realm from interference from otherworldly races. I chose to make my heroes Phoenix because I wanted to do something different than vampires and werewolves. I love stories about both, but I really wanted to try something more unique. These Warriors are literally hot. I hope you’ll give them a try. You can learn more about my books at my website, www.karidaclarke.com, or at my Amazon author page, http://www.amazon.com/Karida-Clarke/e/B00INJ1T14. 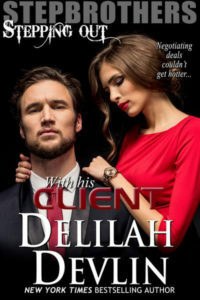 Many thanks to Delilah for inviting me to share my thoughts and my books on her blog. I would love to hear from readers. How do you feel about cliffhangers? What about teasers for subsequent books after the end of the previous novel?